This time we talk about millers and mills. Millers were a part of everyday life everywhere, for they provide the grain the bakers use for our daily bread. Even where someone might have their own baking oven (most people did not), they still needed to have their grain turned into flour. Almost no one did this by hand, unless they were very poor and very rural. For the most part, you took your harvested, threshed grain off to the local mill. This might sound so ordinary that it barely merits consideration for the writer, but millers held a special place in society and mills themselves made for a great hideout for everything from robbery to romance. Beyond that, it’s worth knowing a little bit about mills in order to place them properly in the background. There were more kinds of mills than you might think at first. Sure, wind mills and water mills, those were the most common, but there were also mills driven by donkey or ox (by turning a capstan). And my favorite, which is a tide mill, where the water comes in at high tide, then a gate is dropped and the water rushing back out turns a wheel. 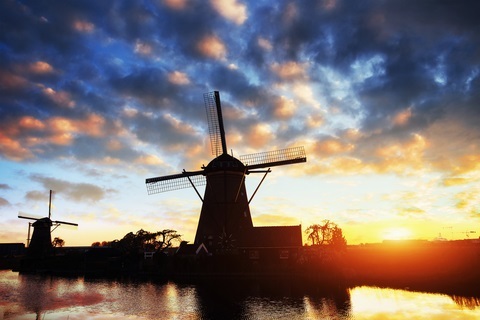 Very generally, put wind mills in the countryside and water mills in or next to towns. Mills were rarely driven by animal power because the cost of feeding the draft animals took away too much of the profit. The primary market for the miller was the baker. The baker purchased grain at the market from grain wholesalers, who in turn brought the grain in from the countryside. The baker usually hired carters to bring sacks of grain to the mill, where employees of the miller took the sacks, marked them as to owner and type of milling to be done, and stored them. The town miller didn’t see many private customers, as most houses did not have their own oven. People bought their bread from the baker. Besides bakers, three other types of customers frequented the mills. Confectioners also needed flour, usually of a higher grade. Brewers did not use flour, but they needed large quantities of malt, which does require milling. In towns with a large brewing industry, there would be one or more mills specially devoted to the production of malt. Finally, there were some private individuals and institutions (e.g., a monastery) with their own ovens and these also used the miller’s services. Prices were set for each need, with confectionary milling being the finest and most expensive. In a sense, the shop and the tool were one and the same for the miller, for virtually the entire building was one big machine. It was powered by a waterwheel, which could measure fourteen feet across. 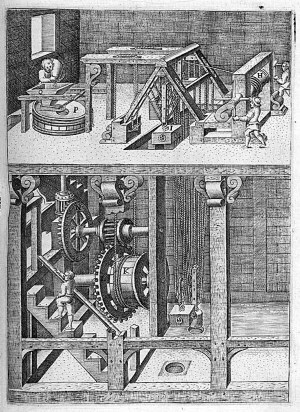 Between the waterwheel and the millstone intervened an array of gears that could be engaged or disengaged as needed. The trick was to get the stone turning at the right speed, for the flow of water varied over the day and over the year, and the millstone had to be kept from turning too fast or too slow. Too fast and the stones would overheat, ruining the grain. Too slow and production dropped. The stones themselves were from four to seven feet in diameter, eight inches thick, and weighed fifteen hundred pounds or more. Their purchase represented by far the largest expense a miller could face, and their care and operation were his key concern and skill. The stone had to have particular qualities, and the miller would order from quarries that might be hundreds of miles distant to get just the right kind. The stones were usually shipped in pieces, then bound together with iron after delivery. The miller also had to “dress” the stone, which was the process of chiseling a pattern of grooves in the stones in such a manner that the grain was not only finely ground, but was moved steadily from the center, where the raw grain entered, outward to the edge where it was fed into sacks or bins. The dressing had to be done so that the top and bottom worked together, the patterns running in opposite directions in order to shear the grain. Once the stones were dressed and set in place, they had to be balanced by drilling holes in the top stone and filling them with weights. Gears above helped regulate the gap between the two stones. I can’t help but think some millers were rather better at this than others. Medieval flour was not the fine, powdery stuff we think of. That didn’t happen until the later 19th century when steam-powered rolling mills came along. Still, the fine-tuning was impressive. A rather late guideline from England said that the stones had to grip brown paper at the hub, newspaper in the middle, and tissue paper at the outer edge. Our miller was a specialist, but he rarely worked alone, though. His employees, except perhaps for an apprentice, were simple laborers. They took in sacks of grain, fed grain into the hopper, and took away the sacks of flour to stack them for the customer. Pretty simple. The usual workforce was three or four, though a large operation might have eight or nine workers. In guild terms this made millers a bit different, as in most crafts the master might have an apprentice and a journeyman but no more. Millers might have eight or nine workers. Of these, simple sack carriers were often paid not by the miller but by the customer, to pick up grain and bring back flour. For the bakers, this could be an almost daily need. Mill workers, though, were paid by the miller. They saw the grain through the production process. The mill itself was not normally owned by the miller, it was owned by the city. In some cases a mill might be owned by a church or monastery (and, of course, by nobles out in the countryside). Not only was the cost of the mill prohibitive for private investment, the real estate on which it sat was so valuable, the city had to control it. Moreover, since prices were tightly controlled, there was little room for substantial profit, so private money simply didn’t go into mills during the Middle Ages. Citizens were required to take their business to the city mills, and the rural population was forbidden. The profession of miller was never well regarded. For one thing, although city millers tended to be free, the profession itself still was tainted by its past, when mills were largely rural and owned by nobles, with the millers themselves being serfs. Moreover, millers were constantly suspected of cheating, by shorting their customers in weight or in quality, or both. As if this weren’t enough, mills were everywhere regarded as being the haunts of robbers and prostitutes. Since most citizens had no need to frequent a mill, it was easy to think of it as an unsavory place, plus it was large with plenty of places in which to hide. Relations with bakers were closely watched by the guild, for the temptation was always for the miller to give a kickback to a baker as a reward for bringing his business to him alone. Conversely, it was forbidden for bakers to bring favors to the miller, including gifts of food or drink. Since prices were set, since both demand and supply were so inelastic, the temptation on both sides was always to find ways to gain a small edge. Mill workers were contracted for a year. Every St George’s Day (in Augsburg), the worker was free to seek other employment, and the miller was free to hire a different worker. Workers were usually paid weekly (this was common in other trades as well). Prices varied in ways that seem alien to us. Different prices were charged for different grains, but different customers were also charged differently. Bakers got one price, but a householder paid more for the exact same grind, and a merchant paid still more. Weather was a challenge for millers. A drought could dry up the stream. Worse, floods, and especially ice, could destroy the waterwheel. As a result, millers tended to be innovaters in flood control, and we see various kinds of dams and other protections around waterwheels. There was no such thing as a masterpiece, and the guild was not at all concerned with apprenticeship or journeymen. In this craft, far more than in others, the miller’s son became the next miller. If he lacked or lost his son, then a nephew or some other one close was brought in. Millers were forbidden to leave the city without the permission of the City Council. Milling was vital to the city itself. The regulation also helped prevent millers from buying grain directly from villages. The city employed inspectors who followed the grain through its entire process. Those who purchased grain received a ticket on which was recorded not only the particulars of the purchase, but also at which mill it was to be ground. The inspectors paid drop-in visits to the mills to check to make sure what was there was what was supposed to be there. The inspector had the power to confiscate grain and even to arrest individuals. He could and did weight marked sacks to ensure honest marking. The city’s Grain Office received a weekly list of the milling to be done, based on these tickets. Since a tax was levied on the grain at the mill, the city had a strong interest in defeating fraud. Similarly the customers had a strong interest in perptrating it. For example, a customer might bring in four sacks of grain, knowing the inspector was there. The tax was paid and everything seemed right. The customer waited for the inspector to leave, then came back with two more sacks, to be milled tax-free. Another dodge was to have the milling done secretly, at night. Prices were fixed by the city. This created constant tension and tended to lead to various forms of fraud, as detailed above, but in a time of economic dislocation it could lead to a real crisis. If inflation hit, as it did in the early 17th century, the millers’ only recourse was to petition the City Council. That inflation was especially bad, with prices skyrocketing four hundred to a thousand percent in the space of a couple of years. The guild petitioned the City Council to be granted a quadrupling of its prices. The industry was crucial; the petition was granted. Most manors had a mill. 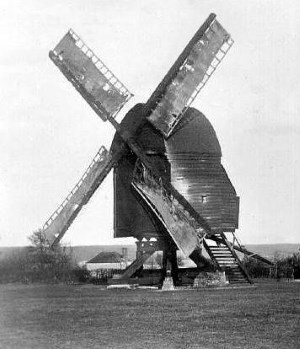 Most villages used that mill. There were exceptions to this, but we won’t bother with them. We’ll stick with the typical. Peasants brought their grain to the miller, who milled it and returned flour directly to the peasant, with a cut to the lord, of course. Water was far more reliable than wind for grinding grain, so mills were situated where there was a reliable stream. It didn’t have to be especially large, just enough to keep filling the buckets on the wheel, but such a stream did not always run conveniently close to the castle, or to the village. 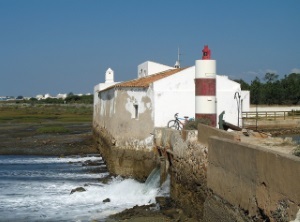 But both castle and village needed water, so place your mill nearby, within easy walking distance out and back. Some places were simply too dry; these relied on the older technology of mules or oxen (or barbarians from Cimmeria) to drive the mill. This was more expensive and far less productive. The rural miller was, in his origins, a serf, under the hand of the lord. This unfree status tainted the profession even after urban mills developed (early mills in towns were often built first by a local lord or bishop because of the large capital investment). The local peasants, being villeins rather than outright serfs, might look down on the miller. As mentioned before, he was also an easy object of suspicion, being isolated and being someone who could take advantage of them. The peasants came into direct contact with the miller, bringing him sacks of grain and retrieving sacks of flour, so everyone knew him and he knew everyone. The other consequence of the miller’s servile status was that the position was usually hereditary. The same family was “the millers” for generations. It’s no surprise it became so common a surname. One other point: there were other kinds of mills and other kinds of machinery driven by wind or water (or muscle) than just milling. The most obvious is a pump mill of the sort found all over Holland, whose purpose was to pump water out of polders (I’ll talk more about these in a separate post on land reclamation). A similar device, driven by animals rather than wind, was used to pump water out of deep mines. I’ve never been able to find out what sort of specialist designed and built these. There were also sawmills, hammer mills (for pounding metal), wire-drawing mills, and in the later Middle Ages, paper mills. 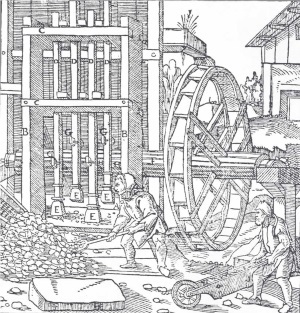 Or, in the case of this illustration, a mill for crushing rock. Let’s take the obvious thing first: mills are great for fights, and have been used by authors for this purpose for a long time. There’s no reason at all you shouldn’t do the same. If you do, make sure you decide whether it’s a windmill or a watermill. Each has its peculiarities. Don’t neglect the mill as a hideout. An abandoned mill, of course, makes a fine hideout for a bandit or a wizard. Or a wizard bandit. In town, a mill makes a great hideout for someone on the run, though often the mills stood outside the city walls so it’s equally good for someone trying to get in as get out. The mill also works well as a rendezvous, romantic or otherwise. The miller could be in collusion or this could be done behind his back (mills don’t operate at night). As for the miller himself, he can serve almost as well as the local bartender as a source of rumor and gossip. Or, he makes an easy target of suspicion and anger, as noted above, so he would make a dandy minor bad guy. As always, be sure to consider your non-humans and your magicians. Do elves have their own mills? Where do orcs get their bread, or are they on a protein diet? Would magicians have reason to have something milled? Evidently giants do, though by report they do their own grinding to make their bread. However you work it, having a mill be something other than what is described above could add an exotic, not to say fantastic, touch to your world building. Bennett, Richard and Elton, John. “History of Corn Milling” in four volumes. London, 1898-1904. This was re-printed in 1966, so it’s a little easier to get hold of. Storck, John, and Teague, Walter D. “Flour for Man’s Bread: A History of Milling.” University of Minnesota Press, 1952. Wikipedia has a good article on mills, with references at the bottom, but not about millers. Although this article is more about colonial America, it has some good information not found elsewhere. E.L. Skip Knox is the creator of the fantasy world called Altearth, a place where magic is real, monsters roam the land, and the Roman Empire never fell. I am a retired medieval historian who is now engaged in deconstructing the Middle Ages into a fantasy setting. I've been writing my entire life, from poetry to science fiction to history and now to fantasy. I've been married since 1969 and have three grown children and two grandchildren. Go for it, Brie! I’m glad you found something useful in the article. This is something I have never considered including in any of my stories and now I want to! I was just thinking back to some of my more recent reads and quite a few actually had millers in them. Amazing that you don’t really consider small details like this when it comes to your own work but find yourself enjoying in other’s work. I always wondered in that movie who the heck Scott was. I'm a baby boomer. I've spent my whole life remembering the future. "Great Scott! We have to go…Back to the future!" These articles always set a cozy mood for brainstorming and daydreaming. I've been taking somewhat of a break from the kind of fantasy they seem to be written for, and every time I read one of these I get more excited for my eventual return. I wish I could reach back into history and shake someone from that era, trying desperately to explain to them how cool the world around them is. I know how that's nonsensical from like 10 different angles – not the least of which is the irony that someone from the future is probably trying to shake me right now. Insightful article, Skip Knox! I never really thought about using a mill for any purpose in my story, however you’ve introduced a few options for me. Thanks! Hooray! Striking sparks is what it’s all about. Well, except in a mill. I’m glad you found something of use.